Vpntraffic is a leading Taiwan VPN services provider that enables our users from all around the world to enjoy Free Internet thought fast, secure and reliable servers. 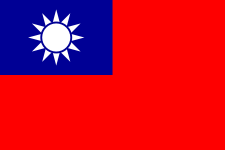 Vpntraffic provides a secure Virtual Private Network solution through High Speed Access for Taiwan citizens, using servers located all around the world. You get a secured connection for all programs you are using, you are completely anonymous, your traffic is fully encrypted and you are totally protected. High-quality 1Gbit Network connectivity ensures that your VPN service will be fast wherever you are in the world.